Calling all Fashionista's have you seen the latest new must have accessory? Fash' Em's are squishing their way into hearts across the country! My niece was so excited when I told her that she was getting some Fash'Ems to play with. When they arrived she opened them up so fast and started playing them. She just turned 2 and loved the squishy feeling of the Fash'Em's in her hands! She sat there and played with them for quite a while and never made a sound. She is very active so this was very unusual. They are so squishy and soft and promote sensory education. They would be perfect for sensory bins! Josie likes taking her Fash'Em's with her to the bath tub as well. At first I was skeptical of this but thought what could it hurt to give her Fash' Em's a bath they actually really needed one after she had rolled them in the floor and the carpet! It worked like a charm just add a drop of dish detergent or regular shampoo and soap up those Fash'Em's and thy are good as new. Fash'Em's float so they are perfect for the water. Fash' Em's have different characters Frozen, Hello Kitty, My Little Pony (what Josie tried), and Littlest pet shop.They also have Mash'ems which is the boy version of the Fash' Ems. Check out our Mash' Em' review here. 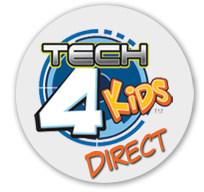 Fash' Em's, Mash'Em's and Tek Recon Blasters are all made by Tech 4 Kids they also has many other great kid toys and products that are perfect for the Holiday Season. Fash' Em's make excellent gifts or perfect stocking stuffers! Fash' Em's make the perfect Holiday Gift or Stocking Stuffers to purchase yours for that special little one go to website and find all the locations that carry Fash'Em's. We also just spotted Fash'Em's for $5 ( what a steal) at Dollar Store so you may want to start looking there! 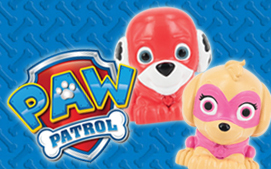 To check out al of the Tech 4 Kids products including Mash'Em's go to Tech 4 Kid's website and browse the Kid's Toy's either by Brand Or Product Licenses (character) tab. We got a few FashEms when Madison was younger and somehow she managed to break them apart. Guess they are better for older kids. She loved the Hello Kitty and My Little Pony. Now she is older I think they would be great for her.